Elysian: A 66-meter luxury yacht delivered in 2014, Elysian features strong lines and an extraordinary deck layout and near-vertical bow. 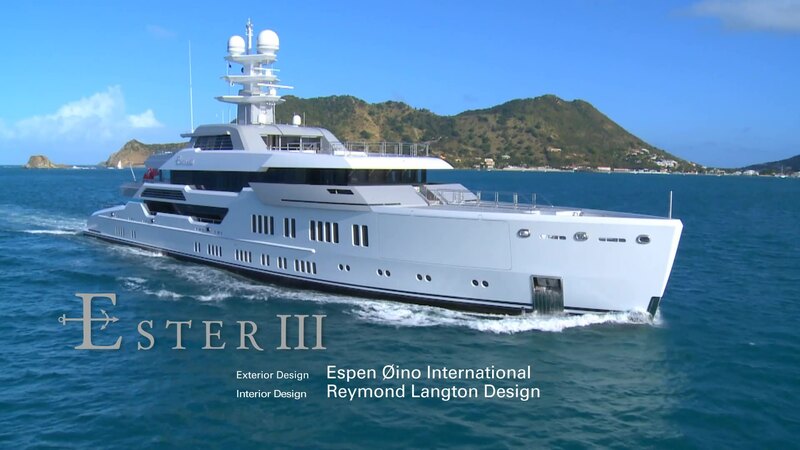 Her external profile is unique, distinct and masculine, with a big swimming pool aft, a helicopter landing pad positioned above the wheelhouse and two separate al-fresco outside dining locations. Espen Øino International worked closely with the owner to create an individual look. Elysian's interior, by Reymond Langton Design, includes features such as a stunning piece of hand-carved leather artwork that runs the length of the main stairwell and a glass lift that grants access to all levels.